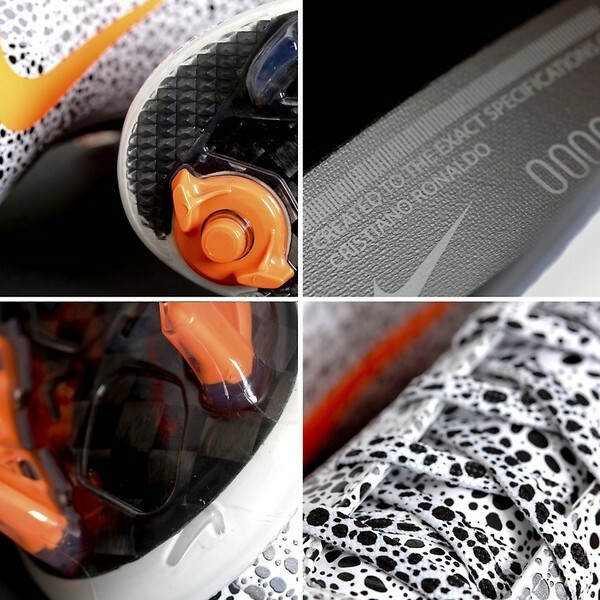 Weighing just 8.3 oz, is Nike’s lightest boot to-date. 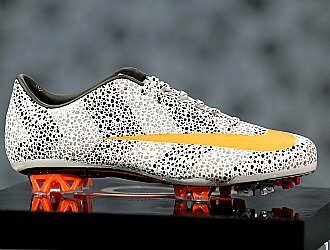 The Safari Nike Mercurial Superfly II have been designed to the specific specification of Cristiano Ronaldo, super lightweight with a carbon fibre sole that reduces weight, whilst maximising strength. The Elite Mercurial Superfly’s really have the best of the best, utilising Flywire technology, carbon fibre and adaptive traction to boost toe-off acceleration and minimises slippage in game-changing situations. It wasn’t just Ronaldo who Nike have worked with, taking advise from and working closely with Serie A stars Alexandre Pato and Zlatan Ibrahimovic of AC Milan. 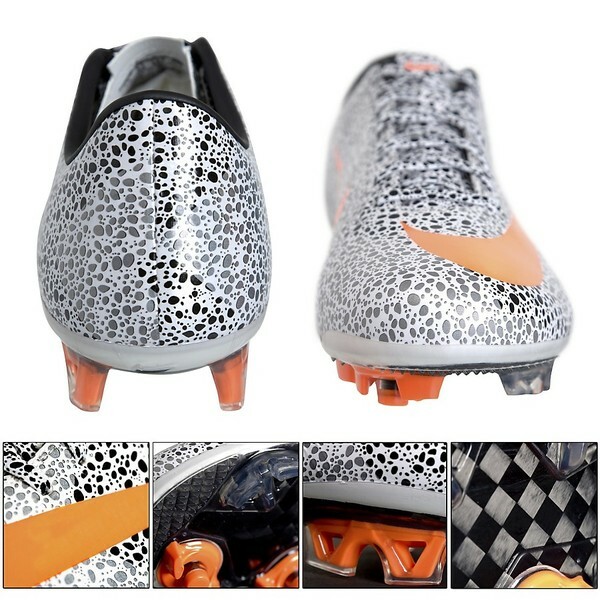 The Safari style of the boots is based on the Snow Leopard in nature, with a chevron design mixed into the sides of the boot, Nike Mercurial Superfly II, check out the images for a close-up look on the Safari boots.